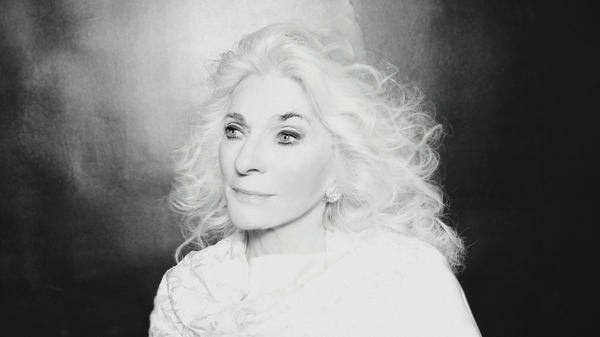 Judy Collins remains active musically and politically. Now, in response to watching a news show about a young "dreamer" who fears deportation if DACA was rescinded, Collins composed a song telling that story from the perspective of Maria, a dreamer's mother. As Collins speaks on the phone from her New York City home about the process of composing "Dreamers," conversing with her is a delight. Her words are polished yet direct, spoken with the clarity and beautiful precision of a master songwriter and poet who has a self-imposed discipline of writing one poem or song per day. At the essence of that process is what she calls, "Naming the name, telling the story." This means the power of the poem and the song is at the heart of humanity's essence. "As human beings we live and thrive from stories," she says. The birth of "Dreamers" began precisely as the result of her daily writing discipline and was originally written as a poem. After singing it to herself for nearly two years while practicing on the piano and repeatedly trying to create its instrumental accompaniment, her husband suggested she sing the ballad a capella, which she did for the first time earlier this year in Seattle. Collins recounts singing "Dreamers" that first time, astonished at the long silence in the auditorium that then erupted into a thunderous standing ovation. "It led me me to believe everybody needs to get validated ... in the things they know are right about our country and what's wrong about what's happening here," she muses. Collins punctuates her comments with an easy, hearty laugh as she describes the wisdom that has come about in living through several decades of protests. As a young woman, she went to Mississippi to assist with voter registration and also did sit-ins during the Vietnam era. She even went to France during the meetings that led to the Paris Peace Accords. Today, she describes being "beside herself" at what is happening in the United States under the current administration. Nevertheless, Collins does not spend any energy on disappointment. She exclaims,"I believe in picking up your sticks and going on to the next fight," adding quietly, "I also know the fight is never over." Collins says the struggle will always include art and creating the art is a task that falls to all of us. "Everyone has a haiku in them. Everybody has a song in them. They may not be able to sing it, but they can write it. We all have the artist gene somewhere that can help us stay on the planet," Collins says. Art is essential because it keeps us "hopeful" she affirms, echoing the refrain of her song: "This land was made by dreamers, and children of those dreamers / We came here for democracy and hope / Now all we have is hope." Because in the end, the real resistance is to go on having a creative life, Collins says as she approaches 80 years of age. For her that means "speaking up when you are confronted, speaking out about what's going on that you know is wrong, continuing to fight fascism and racism and elitism as long as you live."